Are you looking to buy a cot mattress in UK? Are you looking for a cot mattress? 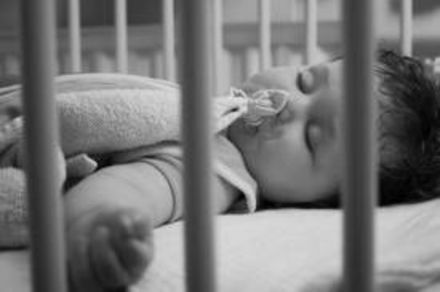 We have the biggest selection of baby and cot and cotbed mattresses in the UK. I'm not just saying that - where else can you choose your own cot mattress filling and then choose the cot mattress cover - it's almost like ordering a pizza from Pizza Hut! We can answer all of your questions about a cot mattress. Just give us a call during office hours and we'll be pleased to have a chat with you about choosing your cot mattress. We have a team of at least six people answering your calls and emails. We are passinate about cot and baby mattresses. We have everything from a very cheap and economical basic foam cot mattress which is ideal for at Grandma's house, we have a regular deluxe cot mattress, our most popular cot or cotbed mattress, right up to the most expensive and best cot or cot bed mattress that you could buy in the UK. We have mattresses made from foam, springs, pocket springs, coconut fibres, wool, organic and many cotbed mattress and other natural fibres and fillings. So why don't you give us a call or get in touch with us. We can supply you with a very cheap and economical mattress for those one off stayovers, guest bed mattresses, or even the most comfortable matttress for baby. As they say - always buy good shoes & a good quality mattress - you'll always be in one of them! Should you need any help of futher advice about a cot mattress please contact us - we'll be pleased to help.